One of the most popular emulators, mainly because of its multiplatform ability, and the fact that it's completely open-source. A stable release hasn't been released since 2005, but this emulator has been ported to a multiple number of systems mainly because of its stability and open-source release. The project is rumored to be somehow outdated, the newer versions is known as Mupen64Plus. Only the newest version of each port is currently available. We recommend the newest that fits for your system. Some errors preventing certain hacks from running can be solved by setting "Memory Size" to 8MB and "Counter Factor" to 1. 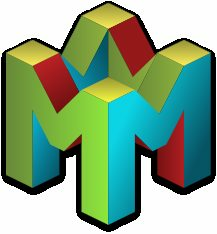 The official website for Mupen64 is http://mupen64.emulation64.com. This project took years to develop, so if you like the system, consider making a donation. Donation button is in the website below the first news article. Current time: 04-22-2019, 08:34 PM Powered By MyBB, © 2002-2019 MyBB Group. By using our website, you agree to our Terms of Service.